My stories rarely start with a character, but I was so taken with the character of Le Méridian that he demanded to be used a second time. The idea for the story came from a visit to London – I was living overseas at the time – just after I read London’s Underworld by Fergus Linnane, with its description of law breaking and law enforcement in London through the centuries, and the often rather blurred line between them. I found myself standing in Old Bailey Street, looking up at what is now the Central Criminal Court. 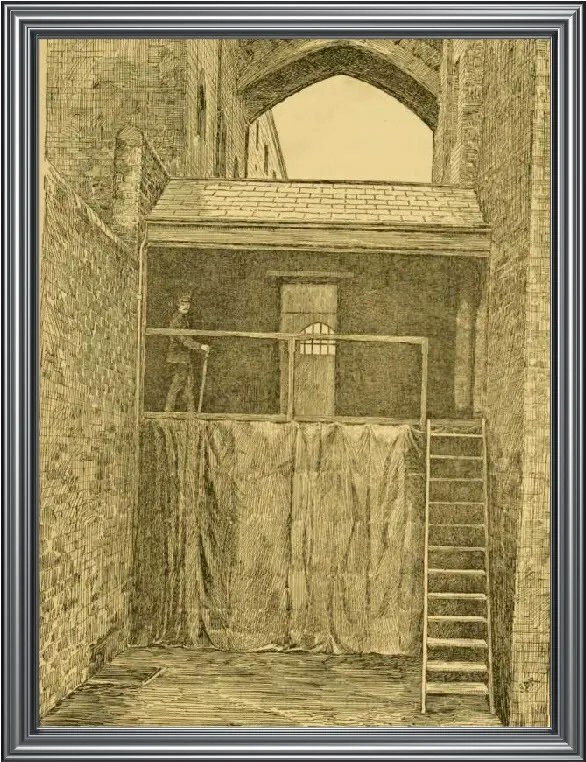 I tried to imagine what it must have been like when the building was Newgate Prison and the street I was standing in was packed with a crowd baying for the lives of men and women twitching on the gallows in front of where I was standing. In spite of the well-dressed lawyers tucking into coffee and sandwiches from the concessions behind me, it was disturbingly easy to do. Newgate Jig was published in Lacuna #4, April 2011, where the full text is still available. It is also part of the Steel in the Morning collection.